Once you know how to spot Bob Fosse’s choreography, you’ll never look at a simple shoulder roll, finger snap or a black bowler hat the same way again. 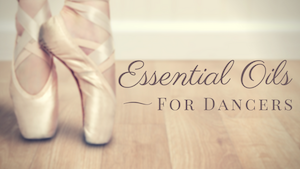 Elements like these have become staples of much choreography, from classic Broadway to music videos. It can all be traced back to a man who worked hard, danced hard, lived hard and ultimately made an everlasting impact on the jazz dance we see today. Robert Louis Fosse was born in Chicago on June 23, 1927. One of six children, Fosse discovered early on that dancing as a way to get attention from his family. Soon enough, he was enrolled in formal dance lessons and by high school was working in various vaudeville clubs as a dancer and emcee. He enlisted in the Navy after high school, but World War II ended soon after he arrived at bootcamp. Fosse completed his two years of duty and made his way to the Big Apple to pursue his performing career. Seven years went by and Fosse had two failed marriages (one to Mary Ann Niles and the other to Joan McCracken), stage and TV variety show performances, and a few minor Broadway ensemble roles under his belt. It wasn’t until 1953, when he appeared in MGM’s “Kiss Me Kate,” that Fosse was noticed by choreographer Jerome Robbins and director George Abbott. That discovery served as Fosse’s big break, launching him into his whirlwind of a career. Next up on Fosse’s resume was Broadway’s “Damn Yankees” (1955). Not only did his choreography meet with love from the public, but Fosse himself also found love yet again during the project. What began as a working relationship with the show’s star, Gwen Verdon, eventually became Fosse’s third marriage in 1960. The couple had a daughter, Nicole, who later became a dancer and actor as well. Although their union would not last, the two remained legally married and maintained a professional relationship lasted for the rest of Fosse’s life. Despite his successful career being in full force by 1960, Fosse still found conflict with directors and producers who insisted his choreography was too suggestive. Rather than sacrifice the integrity of his vision, Fosse decided to take on the challenge of both directing and choreographing for his works. A slew of successes followed this decision, including “Sweet Charity,” “Cabaret,” “Pippin,” the NBC variety show “Liza with a Z,” and “Chicago.” “Lenny,” although not particularly successful, was also one of his projects. While it’s fairly safe to say that show business was Fosse’s life, it was during one of these shows that Fosse had a brush with death. Fosse suffered a heart attack during a rehearsal for “Chicago.” He was taken to New York Hospital and faced other heart attacks while he was there. The health scare didn’t slow him down, however. With an everlasting desire for perfection and to leave his mark, Fosse continued to pour his energy into new creations only four months later. “Dancin’,” a musical largely lacking a story line and focusing on dance, debuted on Broadway in 1978. The next year, the semi-autobiographical movie “All that Jazz” captured the essence of Fosse’s and his life in the character of Joe Gideon – a talented director-choreographer allured by women, smoking and more sinful passions. Fosse’s last works – “Star 80” in 1983 and “Big Deal,” his last musical – were not blockbusters. On September 23, 1987, Fosse suffered a heart attack outside the Willard Hotel in Washington, D.C. after a rehearsal for the revival of “Sweet Charity.” He died on the way to the hospital. The world lost a legend that day, but fortunately for us, Fosse, a “dancin’ man,” left his footprints forever on the sands of time. Fosse stands as the choreographer to win the most Tony Awards – eight for choreography, plus one for direction. He is also stands as the sole person to win an Oscar, Emmy and Tony award in the same year. The unusual shots, jump cuts, and other film and editing techniques used in many music videos are attributed to Fosse. He introduced these techniques in Sweet Charity and his later works, at a time when dance had previously only been filmed either in front-facing or overhead perspectives. You can also see hints of his choreography in music videos in work by Beyoncé, Michael Jackson, and other artists. Fosse’s Pippin was the first Broadway show to advertise on television, in addition to being the highest earning Broadway show ever. Hats, gloves, and turned in knees, all trademarks of a Fosse performance, stemmed from some of Fosse’s insecurities – his balding, a dislike of his hands, and his lack of turnout. 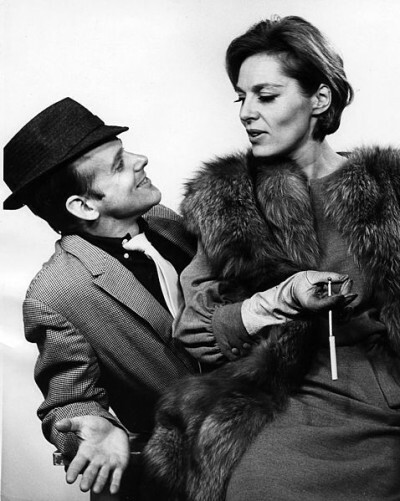 Watch this clip about Bob Fosse from the PBS documentary, Broadway: The American Musical.